Imperial Wine & Spirit Merchants are a leading merchant specialising in Cru Classé Bordeaux, Burgundy, Champagne, Rhone Valley and rare spirits from across the world. They are a family owned and run company with many years of experience in the fine wine and spirits arena, only trading in the top 30 listed wines and spirits offering only the top of a superior range of rare vintages and spirits. Imperial WS came to Foundry Digital looking to build a website from which their customers could browse information about their extensive premium selection, and purchase some of their fine wines and spirits. 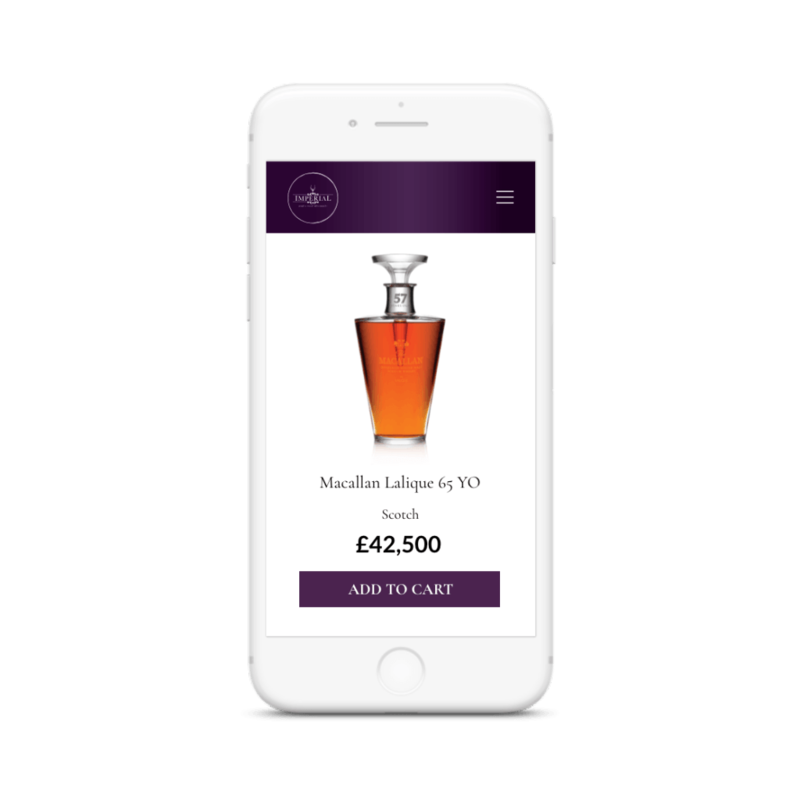 Foundry Digital web designers are experienced at creating eCommerce stores that successfully incorporate good design and branding to enhance a user’s shopping journey, whilst offering simple navigation towards product purchase. The website welcomes visitors after requesting that they confirm that they are of a legal drinking age. Once within the website, users can really get a feel for the premium character of Imperial WS from the stylish fonts and regal colour scheme. The website is organised into the different sections each offering something different to users. Whether they are looking to purchase wine or spirits, find out more about their favourite vintage, or learn more about Imperial Wines, the functionality of the website enables visitors to easily navigate to the page they are looking for. 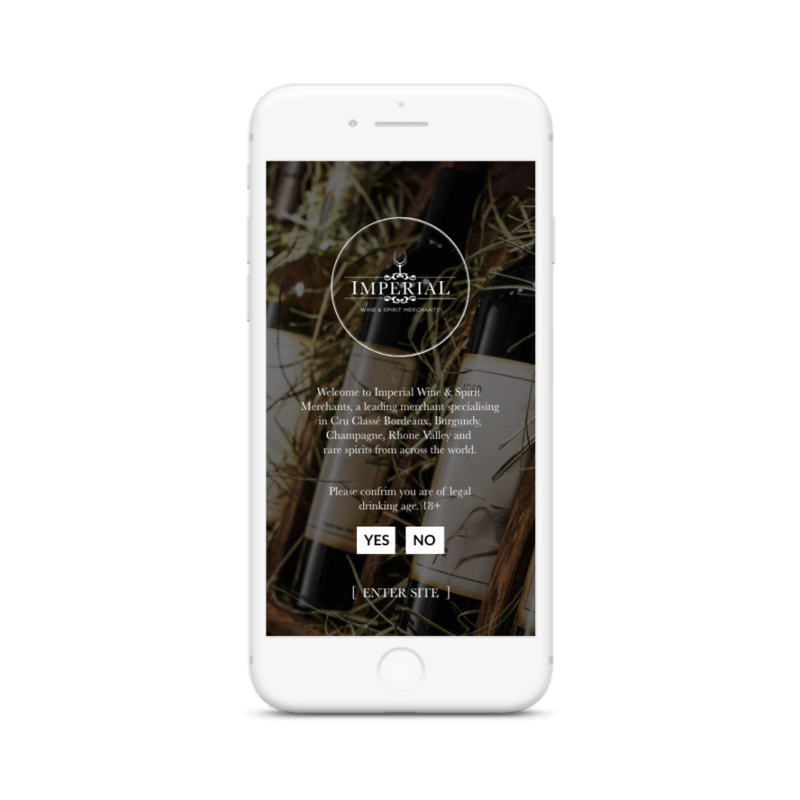 Testimonials and Contact Details are an addition to the website that enables visitors to trust the brand as a whole, and was something that Imperial WS felt was important to be included. Their partners are also clearly displayed on the Home Page, with the option to click through and learn more about the partnership should the user wish to do so.